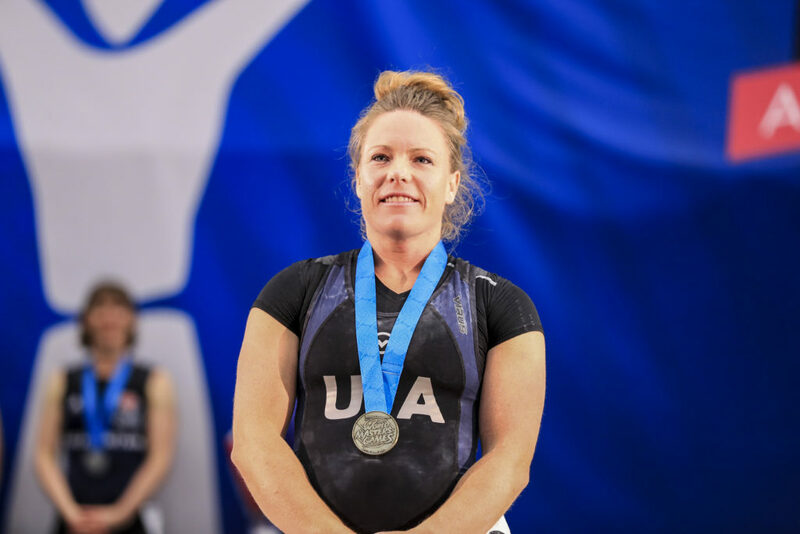 Kristi Brewer is a wife, working mother of two and a world record-holder masters weightlifter. No wonder Brewer, who just picked up the sport two years ago, uses the moniker: K_mighty on Instagram. 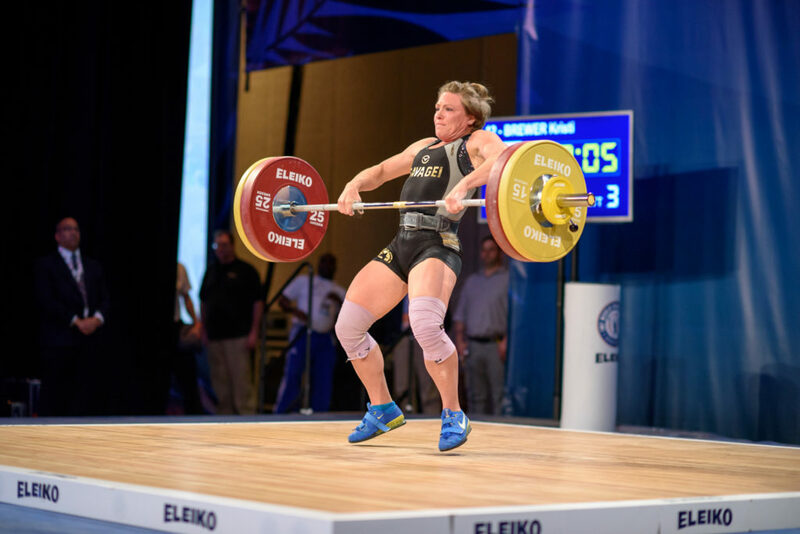 The 35-year-old, who routinely competes against competitors decades younger, doesn’t have the hours to commit to double sessions or meticulously track everything she eats. But what Brewer, who switched to weightlifting after 18 months of CrossFit, has been able to do is consistently improve. The 63 kg. lifter, who has snatched 80 kg and clean and jerked 110 kg. 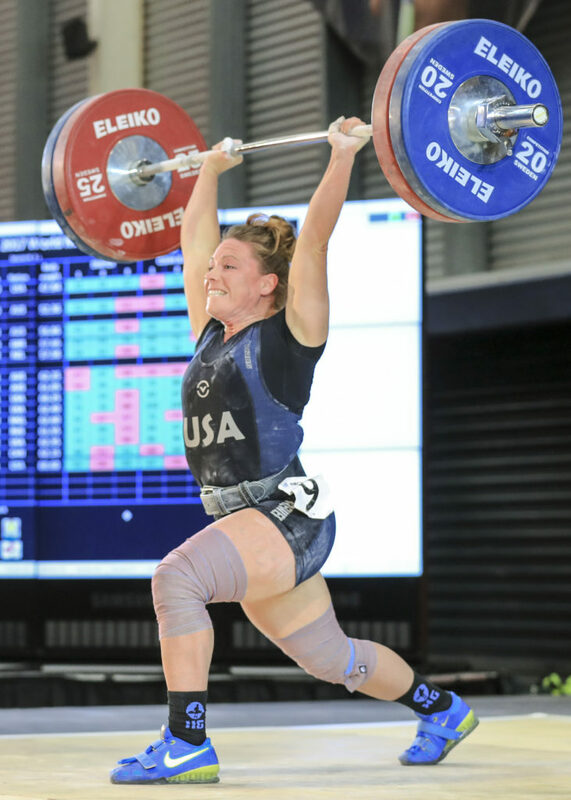 in competition, will compete against younger lifters again in December’s American Open. 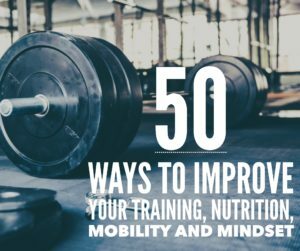 And while she’s aware that her training may not always look like her competitors, Brewer hopes to continue to prove that nothing —not age, or circumstance —can get in the way of sheer will. Brewer, who reduced her work hours to help accommodate trips to speech therapy, behavior therapy and physical therapy, squeezes in most of her sessions alone in her garage. Brewer, who is a Juggernaut Training Systems remote athlete, was a collegiate softball player at Brigham Young University (Hawaii). But her athletic pursuits ended —like many others—when she gradated, as Brewer got married, had two daughters and joined corporate America as a certified public accountant. The money was great. But it wasn’t making her happy. “The money wasn’t motivating. For me, the competition and training give me that passion. And also, I love getting back on the platform and competing. It’s made me feel young again,” said Brewer, who went to the CrossFit Regionals on a team prior to switching to weightlifting. That includes balancing the stresses of two girls under 10, spending 10 months finding a new home and squeezing in morning sessions in Idaho in a freezing garage. 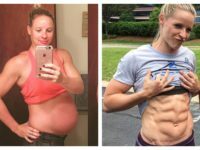 Brewer, who credits her husband for helping support her training goals, will occasionally go to nearby Snake River CrossFit with her girls just to be around other lifters. Brewer did compete as a Master at the World Championships. Brewer has made a concerted effort to work on being mentally aggressive this year. That means trying to remember what good days feel like and channeling that for the tough training sessions. She’s also eating more, much more, now that she’s strictly lifting. “I’m hypoglycemic so if my blood sugar gets low I lose my vision and get light headed. People are always scared about carbs and fat but I eat a ton of carbs. During training I have fruit snacks with me and apple sauce packets,” Brewer said. Brewer loosely follows the nutrition principles of RP Strength though she doesn’t formally log anything. “I’m good with [logging] for like a week but our life is so go-go-go,” she said. Brewer has also shown her daughters how to persevere. 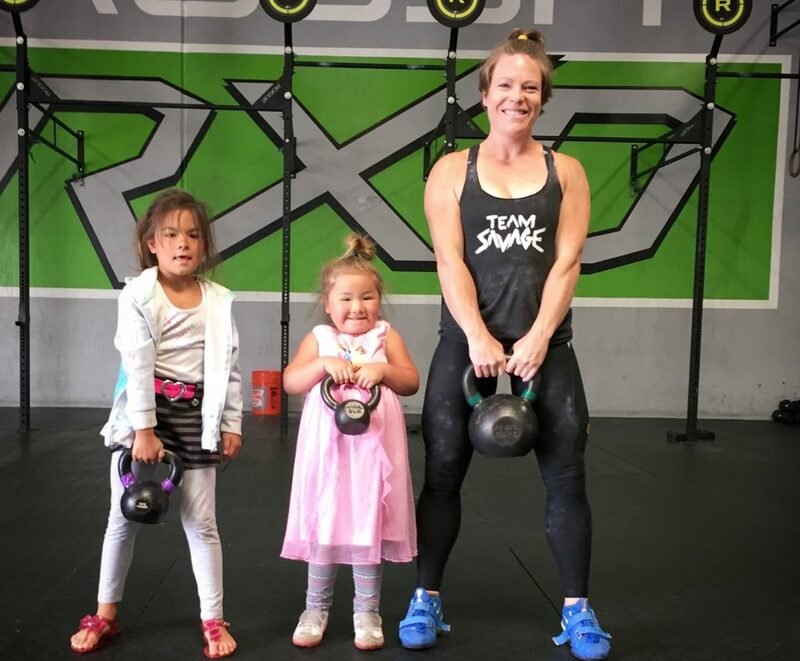 “My older daughter [eight-year-old Keilana] is in gymnastics and gets super frustrated because she’s not the best. For me, I’ve been able to show her, Look Mom fails lifts, Mom struggles, Mom has cried at the gym. It happens. We aren’t the best right away,” Brewer said. 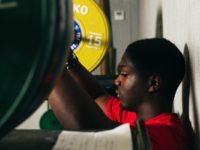 Brewer will once again elects to compete in the more prestigious Open division rather than as a masters lifter in the AO. It is a tougher qualifying total, a bigger stage. And she wouldn’t have it any other way. All images courtesy of Kristi Brewer. juggernaut training systems, masters, usaw, weightlifting. Bookmark.